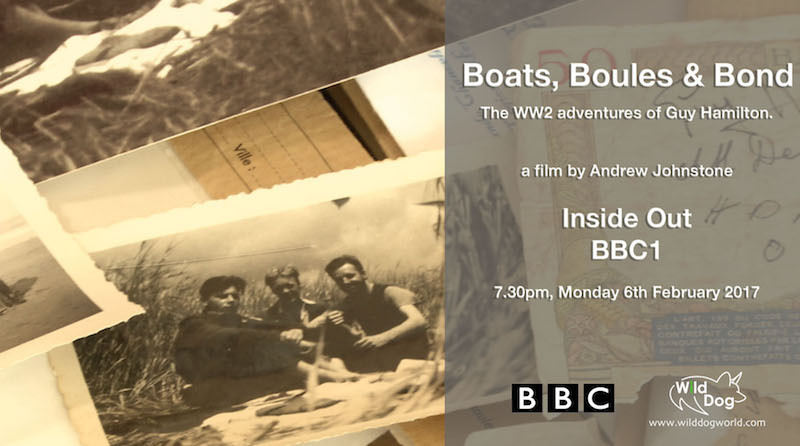 Our film about the wartime adventures of former James Bond director, Guy Hamilton will be on BBC 1 Inside Out at 7.30pm on Monday 6th February 2017 and then on BBC iPlayer for the next month. Producer Director Andrew Johnstone will also be speaking about the film to local radio in Devon, Gloucestershire, Wiltshire and Jersery. The film tells the amazing story of a month when Hamilton was stuck behind enemy lines in occupied France during WW2. Hamilton had been running supplies to the resistance in Brittany when he and his crew became stranded and had to escape with the help of the French.